a skirt from La Meow of the dreamy and fantastical clothes! frothy. lacy. see-thru. pale-blue. & teeny tiny pleats! i love it so much. and can’t wait to make an outfit with it. maybe something over black opaque tights or black lace tights, black ankle booties [whether the world tires of them or not!] and then some more black too… thank you La Meow! 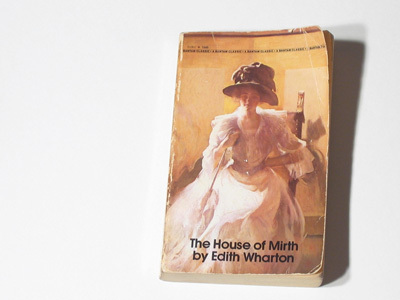 followed by… The House of Mirth by Edith Wharton. an incredible book. so bright and insightful, so naturally spoken. but i don’t know if i can finish it. it’s too sad. i love this cover. and her dress. 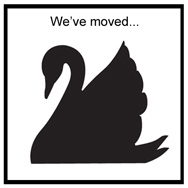 and yes… moving :( horrible, no? alo cocorosa! 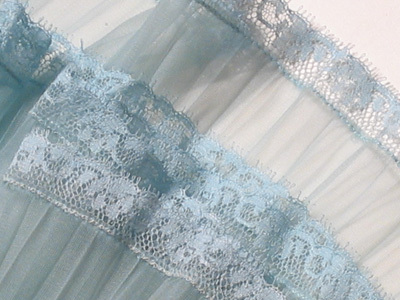 so nice to see you :) you are for sure a pale blue and lace person :) i’m glad you like they sock garters. thanks! 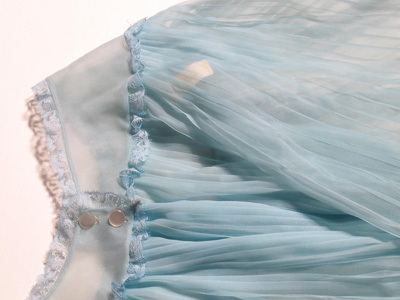 I looove that blue lace also…“La Meow” is so inspiring. I look at her/her clothes and just whimper with envy. I have that problem too—trying to decide which photos I want to put on Flickr…I’m a very nostalgic person too, and have always loved looking at my old photos! Sniff, sniff! I don’t know, where does one draw the line? Hmmm. Anyway, i’ve added you to the blogroll as well! :] your blog and store is awesome! hey liz, ya i really can’t figure out sorting out my stuff. my floor is a mess! hey yumna! yey. thanks so much! but i didn’t live in dubai. maybe that is someone else’s comment? or i dunno? 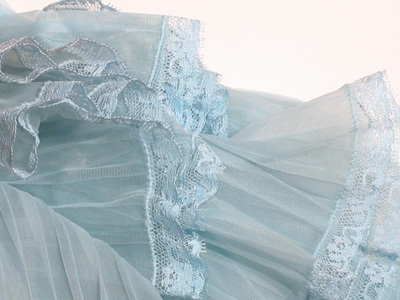 The powder blue is so lovely! Ugh, moving can be such a pain but at least you can get rid of things that you don’t need! I am just starting to read House of Mirth! And I empathize re moving, and I like to purge stuff. Wrecked Stellar- i am really trying to focus on how happy i will be with less stuff! and Betsy Berberian- i’m trying! the book part is tricky. i down to 4 boxes though. hmmm. jesse.anne.o- purge IS the word.